By Lily M. Bowles, M.S. The very word “stress” can instantly evoke feelings of anxiety and tension. These negative connotations arise as we are constantly hearing how stress is bad for the body and brain. We’re told that stress can damage everything from the heart to the brain and even the immune system, elevating our risks of cardiovascular disease and even cancer. There is no doubt chronic, overwhelming, and negative stress is harmful and a persistent and growing problem in today's society. What you may not know, however, is that a little bit of the right kind of stress can actually be genuinely good for you! Scientists call this ‘good’ stress eustress, from the Latin ‘eu’ meaning “well” and it is different from the bad stress, sometimes referred to as "distress" in several ways. Researchers think that having a healthy dose of the right kind of stress can, in fact, be beneficial to your body, mind, and spirit. This healthy stress surprisingly improves both our focus and performance and may be an essential part of living a fulfilling and meaningful life. These qualities may help you reframe a stressor as something stimulating and challenging but ultimately enjoyable. Meeting these positive stressors head on can result in immense feelings of euphoria, success, invigoration, and accomplishment. Small doses of beneficial stress can be motivating, revitalizing and encouraging. In the absence of any stress at all, we can feel listless, bored and without direction or purpose. Good stress can kick us into high gear, exciting the body and brain to tackle new challenges. There is even evidence it can help to improve memory and performance on both cognitive and physical tasks. Good stress may even help to fortify the immune system and improve cardiovascular health! They can lead to mental and physical problems. It is sometimes hard to concretely categorize what makes stressors "good" or "bad" because different people can have very different stress responses to the exact same situation. Public speaking is a great example of this. What is thrilling and exciting to one person can be absolutely debilitatingly stressful to another. This wide variety of individualized stress responses truly illustrates how much of the manifestation of stress is not in the experience itself, but in how you perceive it. We do also have to be careful of oversimplifying this, however, and resist the urge to put each stressful experience in a discrete box of "good" or "bad." Some experiences are both good and bad stressors, vacillating between the two and containing a healthy mix of both. The experience of having a new baby, for example, can bring immense joy but the physical toll of giving birth and the inevitable sleep deprivation can be very negative stressors. Additionally, the anxiety over having a new set of responsibilities can sometimes almost overwhelm the feelings of joy and love. Much of the stressfulness of experiences like these are dependent on a variety of other factors as well, such as social support and the individual's outlook and mindset. There are some pretty clear-cut examples of both positive and negative stressors, however, like the death of a friend or family member which is almost always a negative stress experience. 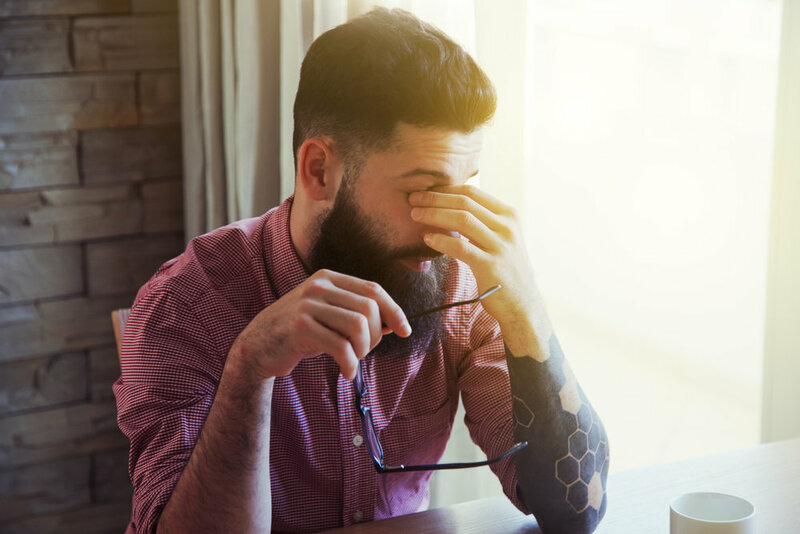 Profound losses of any kind typically fall into the harmful stress category, including divorce or separation, loss of a job or other meaningful relationship. Instances of abuse, neglect, severe injury or illness are all negative stress experiences as well. Alternatively, there can be life events that are exciting and joyful, yet still taxing. These full into the category of positive stressors. Examples include new relationships, marriage, children, buying a home, moving, starting a new job or getting a raise or promotion. Going on a first date is an excellent example of a positive stressor. Your heart races, your palms sweat, and your body has a clear cut stress response, though typically it is an enjoyable one! These positive stress experiences can be profoundly stressful in the way that they alter our lives and require more of us, yet they are often immensely satisfying and give us great feelings of accomplishment. Once the experience is no longer stressful, we typically look back on these memories with fondness and even pride. There is some emerging evidence that the way that you think about stress can actually change the way it manifests itself in the body. Notice that one of the most significant differences between eustress and distress is whether or not the challenge is perceived as within our coping abilities. When we believe that we have the capacity to overcome a stressor it can be seen as a challenge and even be fun. When we feel that a stressor is outside of our abilities, it seems unmanageable and scary. In this instance, we tend to project failure and become overwhelmed by the experience. Try to get ahead of things by setting up a time management system that works for you. Go easy on yourself! Sometimes we can be our own harshest critics. Try reframing your accomplishments. Both negative and positive stress can be overwhelming at times. If you are struggling with stress or something else in your life, please reach out to us at Rivers Edge Counselling Centre. Building the right support structure for your mental and physical health is essential, no matter what life throws at you. Simmons, B. L., & Nelson, D. L. (2001). Eustress at work: the relationship between hope and health in hospital nurses. Health Care Management Review, 26(4), 7–18. April 17, 2019 /Lily M. Bowles, M.S.